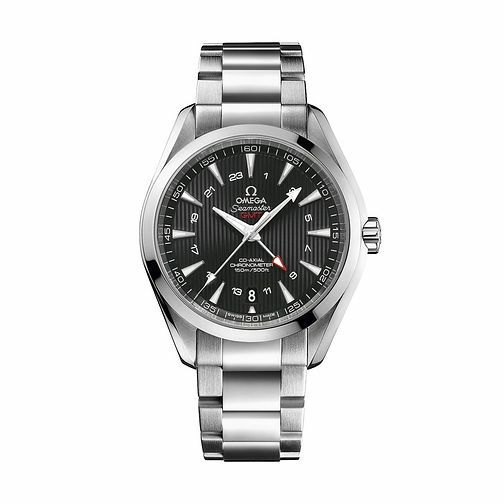 A simply chic stainless steel bracelet watch from Omega's Seamaster Aqua Terra range. Features a black dial with date window and an intelligent 24 hour GMT function, ideal for keeping track of an additional time zone. Finished with a domed sapphire crystal screen for anti-reflection and scratch resistance. Powered by co-axial movement.